There are many fun activities elderly people can take part in to keep their minds sharp, bodies strong and spirits high. Whether it's spending time outdoors, playing games with family and friends, or spending time working on a favourite hobby, fun elderly activities can benefit overall wellbeing. Regardless of age, everyone loves to have fun, and elderly individuals are no exception. Having a good laugh and sharing enjoyable activities can be a wonderful way to stay actively engaged in life. If the elderly are no longer able to do their favourite hobby in the usual way, there may be alternative ways to do it or to share it. Studies suggest that connecting with others, continuing to learn, and engaging all of your senses can help keep your brain active and sharp. This can significantly improve the quality of life for an elderly person, especially if mobility is beginning to decline and we should encourage an elderly person to explore what they feel passionate about and to branch out and try new fun activities. In a University of Michigan study, a psychologist tested a large group of people up to 96 years old. He found that just 10 minutes of conversation with a friend worked just as well as elderly activities involving brain games, like crossword puzzles to strengthen the memory. Hobbies are not just a way to pass the time, but offer something to get up and get excited about, look forward to. It can be very isolating having no "goals" or not having anything to anticipate or look forward to. 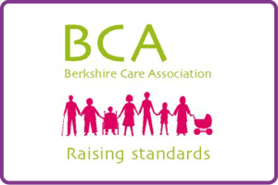 County Care Berkshire provides care at home so that individuals can remain independent in their own environment but they may still encounter loneliness and isolation. We want to make sure our clients get the most out of the time they have employed us to support them and here have created some activity ideas to try. It is not always easy to be creative when someone asks you what you would like to do, so these suggestions inspire you to remember something you used to like or even try for the first time. 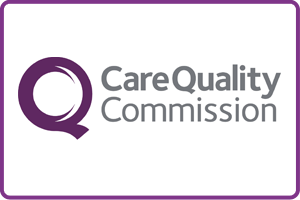 Read on to explore which, if any, of the following areas you are interested in and we will explore further when you start using our services and as we create your bespoke care plan. There are a number of puzzles that are adapted for people who have physical limitations such as low vision or arthritis. Working on puzzles helps keep the mind sharp and alert. Some companies offer adapted games for people with physical limitations also offer jigsaw puzzles with oversized puzzle pieces and crossword and word search books printed in large print. These puzzles can be worked on alone or with friends and family members. Getting to the shops and carrying bags can be difficult to manage but may be something you enjoy doing. Help can be provided to meet your particular needs. Help with day to day shopping trips, ordering online and internet shopping is one way a care worker can help support you. 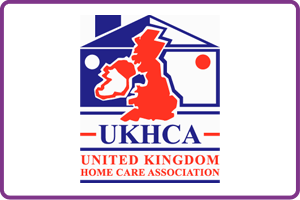 You may want to sit with your care worker and explore what local activities are going on from brochures or newspapers. You may find local clubs or coffee mornings that appeal to you and your care worker can accompany you there if required. Day Centres are a great way to meet other people who share similar interests and engage in a wide range of activities. Making Simple and Affordable crafts together. - Use Transfers onto paper or boards for painting, for posters and flyers, mobiles, greeting cards, colouring pages, for collage and cut-out projects. - Make An Easy Angel -- Angels are for any time of year. Christmas, Easter, birthdays, christenings, memorials, etc. Expanding Horizons -- Many elderly still love to learn. Learning-oriented elderly activities exercise the brain and keep brain activity healthy. We can encourage people to watch worthwhile educational programs on TV and programs associated with their hobbies. There are also lots of documentary films that can be rented or streamed to TV. Try surfing the internet with a large-screen TV as the monitor. Older people are becoming more and more computer savvy. Keeping up what’s going on in the world helps the elderly stay mentally involved. If you are really interested in a particular topic, ask us to get a book from the library on the topic, especially with pictures and we can reminisce with you about what this topic means to you. Easy Yoga -- Exercise is always good for the mind and memory and can be done from a chair. The elderly report that gentle yoga does a world of good for well-being, joints, and even mobility. We can pass on gentle exercise tips know to you. It’s a good idea to highlight your preferred foods and recipes. You can get involved in cooking and the eating. Chocolate Strawberries -- Making and decorating these are fun and easy elderly activities, and easy to modify if some need help. We have lots of ways to decorate them. Try Pet Visits -- Many elderly activities used to revolve around pets, when someone was able to still have one. Arranging to have small, friendly pets visit is also a plus, especially for those who had pets and miss them. Studies have shown that just a half an hour of pet visiting per week had a big effect on lessening feelings of loneliness. We will encourage the elderly to talk about the pets they had. Having fun with photos can easily evolve into many more elderly activities. Going over your old photos and talking about your past or growing up. Encourage them to share. We can help you get those photos in albums if they’re not already and write notes on each page. You can make it into a lively ongoing scrapbooking project to do together with a care worker. You could even create a personalized frame to go with a special photo, and give it as a gift. Little indoor plants lift the mood and can be grown all year long. For example growing a Bonsai tree or a cactus. Remember to water. Grow a Bonsai -- This is an excellent project to do from a kit, and is easy to add to your elderly activities list. Pressing flowers -- Go out and pick fresh flowers, remove wilted petals and leaves. Try not to let flower parts overlap. Leaves should lay flat. Choose a heavy book and line the inside pages with 2 or 3 sheets of paper to protect the book. (Paper towels can turn the whole thing turned to mush). Pressed Flower Projects – Pressed flowers can then be used as gifts, including framing, maybe with a favourite saying, as potpourri, for decoupaging onto boxes, or pretty glass containers (great for candle holders), or right onto the outside of a pillar candle (attach them only about half way up). Making Easy Planters -- When you grow gardens, consider another fun -project - creative planter ideas by making and/or finding unusual planters. Try using an old boot from a family member as a planter. Gardening is a great way to work on dexterity. Keep any saved flowers from a relatives special occasion, graduation, weddings, etc and help service user to press them to give as a memento. Elderly individuals who enjoy being outside may find birdwatching to be a fascinating hobby. They can spot birds or look for feathers while taking a nature walk, or identify species from the comfort of their own garden while they listen to the birds sing. Older people with limited mobility can also enjoy birdwatching in parks where smooth paved roads can accommodate wheelchairs and walkers. You can keep track of the bird species you find with a notebook or snap pictures with your phone or camera. If you end up collecting feathers, you can paste them or press them into a keepsake book or frame. Kite Flying -- Great reason to go outdoors. Get inexpensive kites at a discount store. You may want to limit the length of the kite string so it’s more manageable. Go outside to an area where there are not too many trees, and take turns flying the kites. Wheelchair participants can also attach the kites to their chairs. Many people will have fun stories to tell about flying kites when they were young. So kites and conversation are elderly activities that are good for the memory. Gentle Hand Massage -- A hand massage using gentle reflexology that stimulates the whole system is a little gift that you can give to the elderly you care for. And it is really easy to do; experience not necessary. It's given with a favourite lotion (men and women alike), or is perfect to also do with a manicure or salon activity. Lots more activities can be found on these webpages. See our check list below for use with our customers when care planningThis content will only be shown when viewing the full post. Click on this text to edit it.